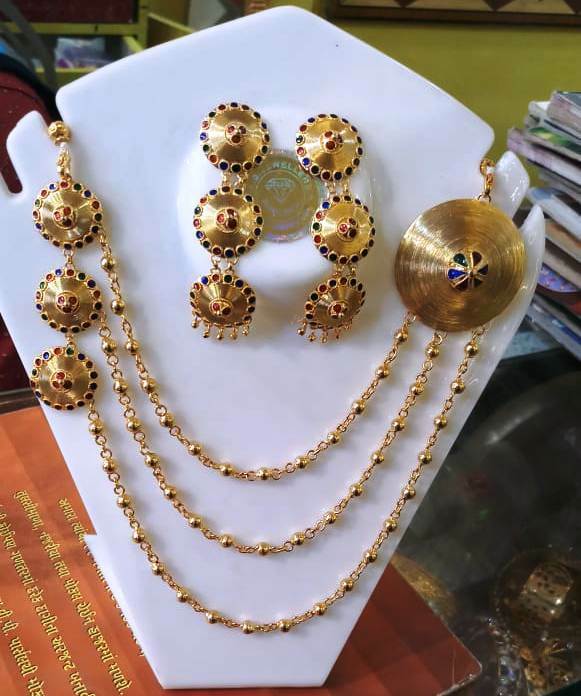 Assamese Zaapi design Handmade Necklace set with Earrings and Maang Tika are available now to give you a classy and sophisticated look which will attract attention. Designer gives a unique look to the set which is made to perfection to sit pretty and trendy in your Neck and make you stand out in the crowd. 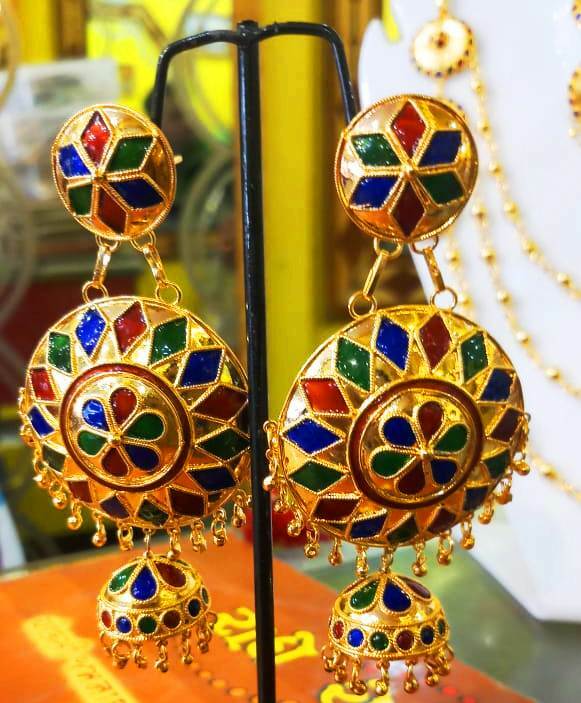 This unique set conical shape jewellery is made for fashionista in you. This handmade jewellery is made of well burnished bamboo and cane products.